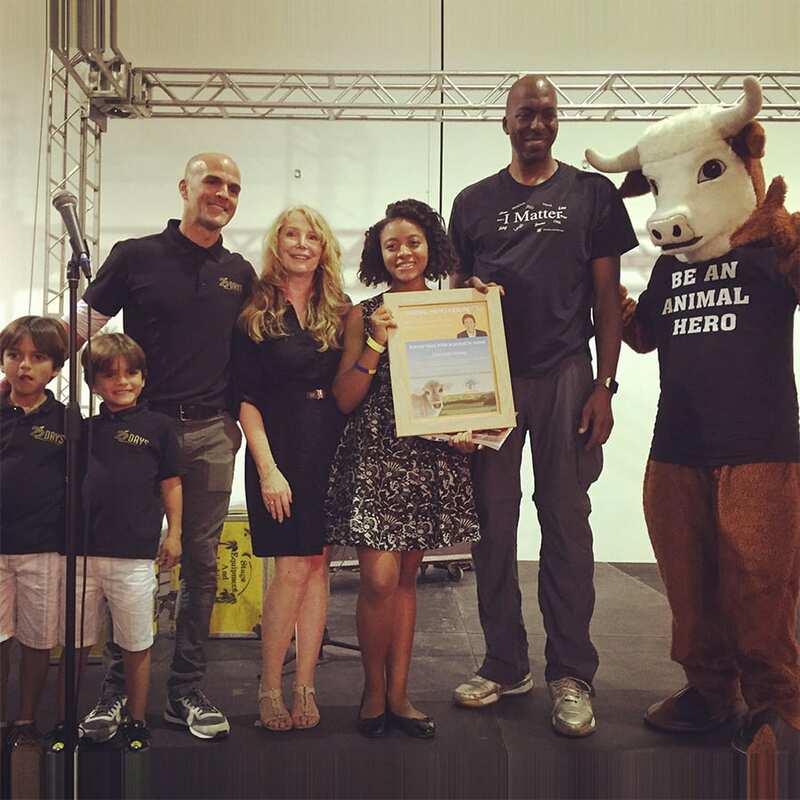 Miami – An Animal Hero Kids Sir Paul McCartney Young Veg Advocate was recognized at SEED Food & Wine Festival by John Salley, 4 Time Former NBA Champion, wellness advocate, entrepreneur. Then event was held Saturday, November 21st at the SEED Festival Main Stage, Mana Wynwood: 318 NW 23rd St, Miami, FL 33127 at 3:00pm. The Paul McCartney Young Veg Advocate was given last year at James Cameron’s wife’s school, MUSE . Animal Hero Kids stories are featured in Animal Hero Kids Voices for the Voiceless book, written by Susan Hargreaves who continues her international book tour at the Miami Book Fair at Writers Row on Sunday Nov 22nd. “It’s vital to give thanks for the good things when you see violence and war in the world, and a relief to see kind, positive kids making a real difference,” said Hargreaves. “I hope kids and adults are inspired to embrace a plant based lifestyle, and in doing so help innocent animals and our planet for future generations” said, Haile Thomas. ‘Animal Hero Kids Rock, the good news is it doesn’t matter how young or old we are we can all help animals in need” stated Sir Paul McCartney.